Safety is one of the top priorities for construction companies. Still, construction site accidents happen, and going by the stats, they happen a lot. In 2009, the highest number of fatal injuries incurred by private sector workers was in the construction industry. To put that in perspective, the fatal occupational injury rate of private sector construction workers is nearly three times that of all workers in the United States. The troubling stats do not end there. In the same year, construction workers incurred more than 9 percent of the 3.3 million nonfatal injuries and illness reported across all industries. According to the Occupational Safety and Health Administration (OSHA), every year, one in ten construction workers are injured. What could be causing all these injuries? It is not exactly far-fetched. A modest description would explicate construction sites to be a minefield of hazards. However, only four of the most common causes account for 60.6% of all construction worker fatal injuries in 2014. Understandably, these causes are also responsible for the majority of non-fatal injuries. Yet, in 2015, OSHA reported that its fall protection standard in the construction industry was its #1 most frequently violated standard. Under Florida Statutes, Section 440.02, state law mandates that construction industry employers that employ at least one worker should carry workers’ compensation insurance. For subcontractors, the directive is similar – arrange for workers’ compensation coverage. For out-of-state subcontractors and employers who have employees discharging their duties within Florida, state law mandates that they arrange, and more importantly, provide proof that they maintain a Florida workers’ compensation policy. Under state law, a worker may have his or her indemnity benefits slashed by 25% if he or she had knowledge of safety rules, but did not follow them. This is usually the case when an employee does not use an available safety appliance such as goggles, hardhat, or gloves. Florida State workers’ compensation laws have an extensive coverage that includes accidental injuries—both fatal and non-fatal, and occupational diseases “arising out of” or occur “in the course and scope of” employment. However, state laws specify specified time frames during which a worker or dependent of a worker (in the even that a worker loses his life due to a work-related injury) must make a claim. For example, when a worker is unsure whether the compensation law covers the injury he or she sustained, the worker must file a ‘First Report of Injury or Illness on Form DWC-1.’ The worker is expected to do this no later than seven days after the accident occurred. In general though, Florida statutes offer a generous two-year window after an incident occurred for a worker injured in the said incident to make a claim for benefits. 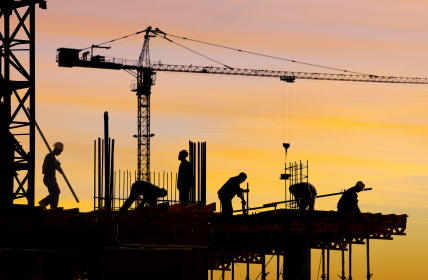 In Florida, victims who sustain injury owing to a construction site accident receive compensation of different forms. These forms of compensation often cover lost income, medical bills, and other disability benefits. Most times, compensation received by a worker amounts to benefit checks sent every two weeks. And equivalent to approximately 67% of the average weekly wage of the worker. If a worker is only disabled temporarily, he or she would receive temporary partial, temporary total, or a mishmash of the two disability payments for the entire period of their disability. The maximum period during which these payments are payable is 104 weeks. Typically, the benefit a worker receives matches the severity of the injury sustained. Accordingly, workers who sustain cataclysmic injuries may receive lifetime benefits. At Kenneth Padowitz, P.A. our primary dedication is helping you get the maximum possible benefits through settlement or at trial, if you sustained an injury in a construction site accident. Our experienced and skilled Florida construction site accident attorneys are available to provide top quality legal representation to victims of construction site accidents in Florida. Contact us today by calling 954-761-3888 or taking a few minutes to leave a message online.